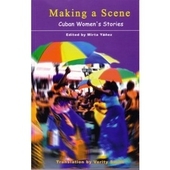 What Cuba did to put arts and culture, for and by all the people, at the centre of its revolution. At last! 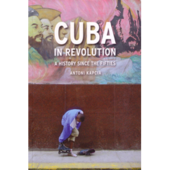 A serious analysis in English, not just of what Cuba did to put culture at the centre of its revolution more than 50 years ago, but also with the valid aim of looking at what we, outside of Cuba and in particular in Britain, could learn from it. A British academic, Gordon-Nesbitt believes that the value of art begins with the actual experience of culture and the arts rather than some of the effects such as the art market and the wealth potential of the ‘creative industries’, unlike the policies of past and present Tory governments. Withdrawing the state from the arts and encouraging market forces to dictate our own culture, erodes the idea of art as essential to society. 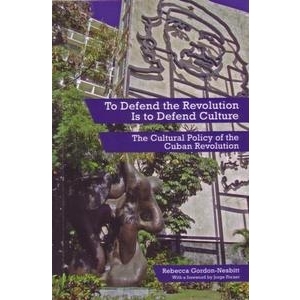 Gordon-Nesbitt meticulously explains, how cultural expression was prioritised from day one of the revolution in Cuba, with the aim of ‘arts for all’ and the challenges that process faced, as she traces the formation and evolution of cultural policy from 1959 to 1976. She deals with those points in that evolution that are often dwelt on by critics: Fidel and his ‘Words to the Intellectuals’ speech in 1961, the closing down of Lunes magazine (which was seen by some as too liberal), the Padilla case 1968-71 (when a poet was given a prestigious award but then criticised for his poetry interpreted as reflecting his disillusionment with Soviet influence) and the ‘Five Grey Years’ from 1971 (when the national culture ministry, CNC, influenced by Soviet policy, dogmatically tried to define what art could be about). However , the author reveals a much more complicated scene, detailing the different players, political tendencies and factors in the debate about to what extent intellectuals could act as the critical conscience of society and sets it all in context. For example, explaining that the CNC was, in the late 70s forced by the Supreme Court to make reparations to creative intellectuals who had fallen victim to its dogmatism. She also explains how cultural institutions set up at in 1959 such as ICAIC and the literary Casa de las Americas were able to resist the restrictions and many artists flourished within them. Researching Cuban archives and interviewing key Cubans, she is able to put the Cuban case and counter the many lies and half truths of commentators outside the island who in her view consistently overestimate the extent to which freedom of expression has been sacrificed. Much more than this, she emphasizes the Cuban government’s incredible political and economic commitment to getting its people to actively participate in artistic production regardless of geography, income or background. Building new arts schools and institutions, training thousands of arts teachers all over the country is one feat never surpassed anywhere else in the world. 1976 brought the creation of the Ministry of Culture and the loosening of state control in the arts. New head Armando Hart made clear he was interested in artists committed to working, not in the content or aesthetic of their work. At 350 pages, plus bibliography and timeline, this is an academic study but is stuffed full of fascinating details. Although not focusing on individual artists or movements, it is a must read for anyone interested in how the revolution embraced the arts and what can happen to culture when not dictated by the market. This review appeared in CubaSi magazine Autumn 2015 issue.